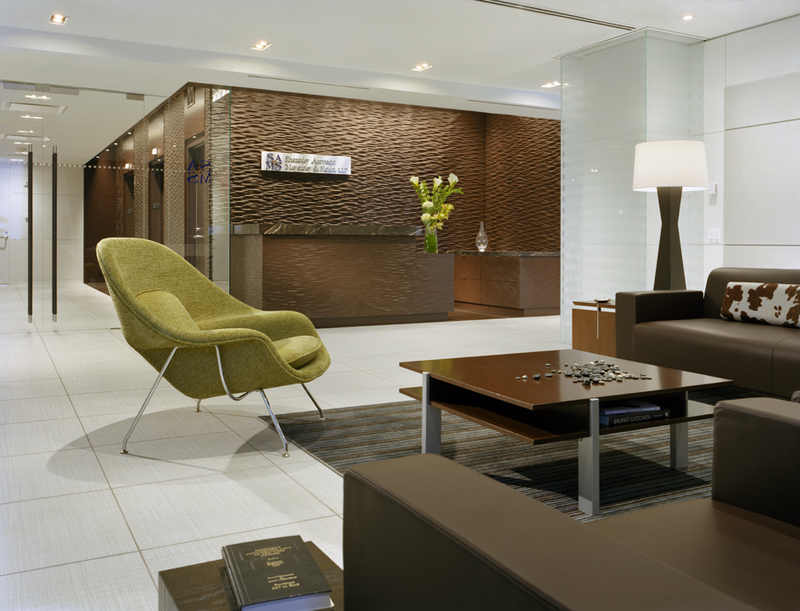 Aim for a reception area that’s stylish, comfortable and functional. As the saying goes, you only get one chance to make a first impression, and this is especially true with reception furniture. Your reception area is often the first place customers, clients, job candidates and investors interact with your business, so you want to ensure that they have a positive experience from the moment they enter the room. Selecting furniture that is functional, stylish, sturdy and that shares a story about your company with visitors might require a little extra homework, but the end result should be well worth the extra effort. 1. Size: Considerations you need to make include the square footage of both your waiting room and the area where you want to position the desk, as well as the number of people who will be using it. The desk should be positioned such that visitors will see it as soon as they enter your office and it should have a good view of the entire waiting room area. If you have more than one receptionist, you’ll want to make sure the desk is large enough to accommodate each person who’s using it. Shop for a desk that matches the scale of your waiting room; ie: don’t buy a huge desk to fit in a small space or a tiny desk to fit in a cavern. Remember you’ll need to fit other furniture in the reception area as well, too, like seating and tables for visitors, so don’t forget to leave room for those pieces when taking measurements. In addition to greeting visitors, will your receptionist be doing any other type of work, like filing, data entry, mailing, etc., that might require extra space and/or equipment? Will visitors need space to sign-in or fill out paperwork? How many visitors do you expect to be in the reception area at any given time? How long will visitors generally need to wait? What types of visitors are you expecting (business professionals? Older people? People with children?)? All of these questions will offer clues as to the type of furniture you should be looking for. If you run a smaller business with only an occasional visitor, you might be able to get away with having a couple of comfortable chairs and a small table. If you expect more visitors, be sure to include enough seating, such as chairs, sofas, benches, etc., to make everyone feel comfortable. If clients are older, look for chairs that will be easy for them to get in and out of. If you might have children in your waiting area from time to time, consider getting a small table and chairs for them (their parents will thank you). This unique, angular reception desk would be a perfect fit for a business in a creative field. 3. Style: Think about your company’s values and aesthetic and try to find furniture that complements them. If your company is more traditional and caters to older clientele, look for pieces that are timeless, but not too stuffy. If your business is in a creative field, have a little fun by finding unique pieces that reflect your more outside-of-the-box perspective. If sustainability is a priority for your company, then showcase your green sensibilities with furniture made from recycled materials. And remember that while style is important, be sure not to be too heavy-handed with trendy furniture. Look for pieces that will stand the test of time both structurally and visually. Consider updating accessories like lighting, artwork and other decorations when you want to change your style. 4. Quality: Reception furniture is a big investment, so you don’t want to just run out to your local big box store and buy the cheapest, desk, chairs and tables you can find. The furniture will be used by not only your employees, but also clients, investors, board members, and job candidates so you want to make sure it’s strong enough to handle heavy use from people of a variety of shapes and sizes. Seating should be sturdy and have commercial grade frames and ample foam cushioning that’s not going to pancake after a year or two and also be easy to clean. The reception desk will endure people leaning on it, kicking it, scuffing it, dropping wet umbrellas on it and otherwise abusing it, so opt for one that can handle added stress. If you think you can’t afford high-quality pieces, then don’t forget to browse used office furniture retailers. You might be surprised by how far your money will go. Start shopping for your reception furniture at Arnolds.